Yachilla M. Bukar-Kolo, Elizabeth Buba, Ikechukwu O. Igbokwe, Godwin O. Egwu. Feline Panleukopenia Virus (FPV) is a leading cause of death in unvaccinated and susceptible cat populations. The present study aims to determine the prevalence of FPV and associated risk factors in pet and stray cats in Maiduguri, Northeastern Nigeria. A cross sectional survey was conducted involving two hundred cats sampled randomly. Commercial test Kit FASTest® PARVO Strip® was used for the detection of FPV in the faeces of the pet and stray cats. The prevalence in pet and stray cats were 4.0% (CI =0.0204, 0.0769) and 9.5% (CI = 0.0617, 0.1436) respectively. All the apparently healthy cats did not test positive for FPV. However, the prevalence of FPV in the sick cats was 13.5% (CI = 0.0945, 0.1893). The male and female cats had prevalence of 7.0% (CI = 0.0422, 0.1141) and 6.5% (CI = 0.0384, 0.1080) respectively. 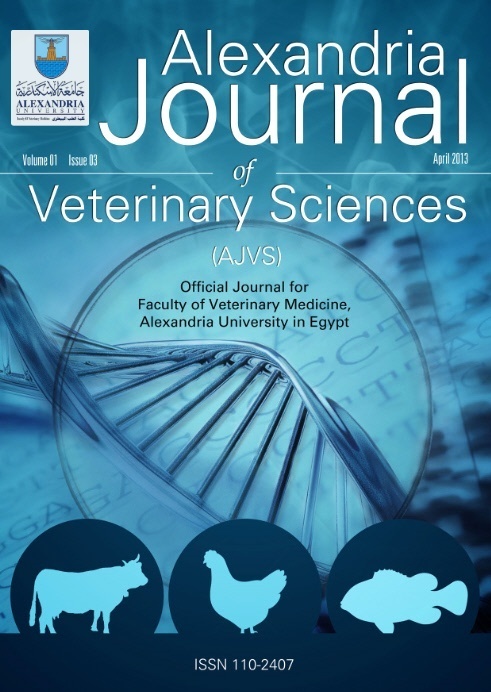 Feline Panleukopenia Virus was found to be more prevalent in cats that were less than 6 months with 10% (CI = 0.0657, 0.1494) and 3.5% (CI = 0.0171, 0.0705) in cats greater than 6 months old. A strong and significant association was found (Ï‡2 = 103.565; P < 0.0001) between age groups and the status of infection. There was a strong and significant association (Ï‡2 = 217.768; P < 0.0001) between gender and the type of management system of these cats. The present study has demonstrated for the first time the presence of FPV in pet and stray cats in Maiduguri, Nigeria.